The global home healthcare market is envisioned to gain prominence due to the rise of positive growth factors, including government initiatives to promote home healthcare, technological developments, and increasing demand for economic healthcare delivery systems because of rising healthcare costs. However, there could be other factors attracting a large demand for home healthcare in the near future, such as frequent occurrences of chronic diseases and rising geriatric population. 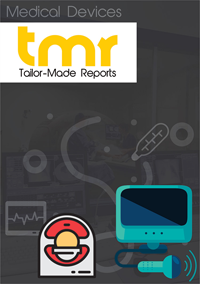 Mobility care devices offering personal safety and security are anticipated to draw a significant demand in the market because of increasing social connectedness, swelling demand for personal independence, ease of use, and growing geriatric population. Cost-effectiveness and technological advancements could play a crucial role in the growth of infusion therapy services in the coming years. The demand for home healthcare could grow at a higher rate in emerging regions owing to the growing need for affordable healthcare delivery, increasing awareness, and expansion of major companies. Yet, there could be more factors augmenting the demand in developing countries, viz. rising disposable income, escalating adoption of novel techniques, and rising number of geriatrics. Companies operating in the global home healthcare market are foreseen to adopt different business strategies to improve their share. Mergers and acquisitions, service portfolio expansion, collaborations, and regional expansion could be at the top of the list of best strategies adopted in the market. Diagnostics equipment could find massive opportunities in the market due to high usage rates of fertility and pregnancy tests and rising prevalence of cardiopulmonary and cardiovascular diseases and diabetes. Home healthcare includes a number of healthcare services and devices that can be provided at a patient’s home to treat an illness or an injury. It costs less than the treatment at hospitals and nursing homes and is much more convenient too as it eliminates the need to shift a patient out of his comfort zone. Some of the home healthcare services include wound care for pressure sores or a surgical wound, intravenous or nutrition therapy, monitoring an illness, or administering injections. Owing to so many unique perceived benefits, the global home healthcare market has progressed at a steady pace in the last couple of years. At the forefront of driving growth in the global market for home healthcare is the increasing instances of chronic maladies that would lead to swift adoption of household medical services and medical devices. With technological progress leading to the emergence of more sophisticated devices, the market in home healthcare is slated to receive further boost in the near future. Besides, patients are more open to treatments at home than in healthcare institutes. Countering the growth in the global market for home healthcare, on the other hand, is the expensiveness of household medical devices. Eventually, however, the availability of different options will help overcome the cost issue. Going forward, the global market for home healthcare is slated to expand at a healthy clip on account of strategic acquisitions and mergers by prominent companies. The two broad divisions of the market are services and devices. Some of the devices most commonly used in home healthcare are mobility assist devices, diagnostics and monitoring home healthcare devices, therapeutics home healthcare devices, and medical supplies. At present, even though the diagnostics and monitoring devices segment dominates the market with maximum share, in the near future the therapeutics home healthcare devices segment will likely clock maximum growth. The services segment, currently, is more popular due to the presence of numerous home healthcare service providers and robust acquisition strategies of savvy players in the field. A noticeable trend in the market is the emergence of home healthcare software which has made it much easier to maintain and access medical documentation. It helps achieve operational efficiency by providing accurate healthcare information and enabling home care agencies and physicians to communicate meaningfully. Based on geography, the global home healthcare market is divided into Europe, North America, Asia Pacific, and the Rest of the World. Among them, North America dominates the market and in the near future too is expected to expand at a good clip owing to the rising occurrence of chronic diseases and numerous healthcare service providers. North America is trailed by Europe whose market has been bolstered by increasing instances of cardiovascular diseases and diabetes. Asia Pacific follows in the third position and is expected to see good growth in the upcoming years. The global market for home healthcare is characterized by stiff competition among a large number of players trying to outsmart one another through product development, new launches, and better applications of integrated product offerings. They compete in terms of pricing, service, quality, and product differentiation to stay ahead of the curve. Some such prominent and savvy players profiled in the report are Invacare Corporation, Teleflex Corporation, Medtronic, Inc., Johnson & Johnson, F. Hoffman-La Roche Ltd., Omron Healthcare, Inc., Abbott Laboratories, Praxair Technologies, Inc., Cardinal Health, and Gentiva Health Services, Inc.